Wikileaks founder Julian Assange's Twitter account disappeared late Sunday and social media was confused as to what may have happened. 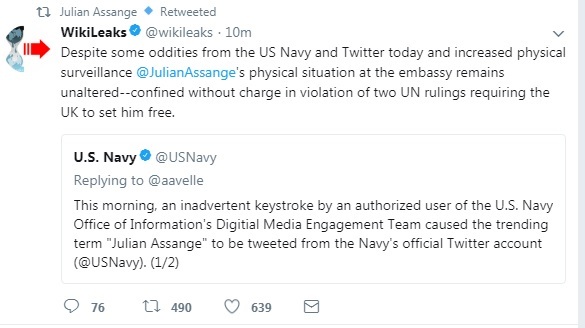 Several users said Assange deleted his account, but some thought the account was suspended by Twitter. 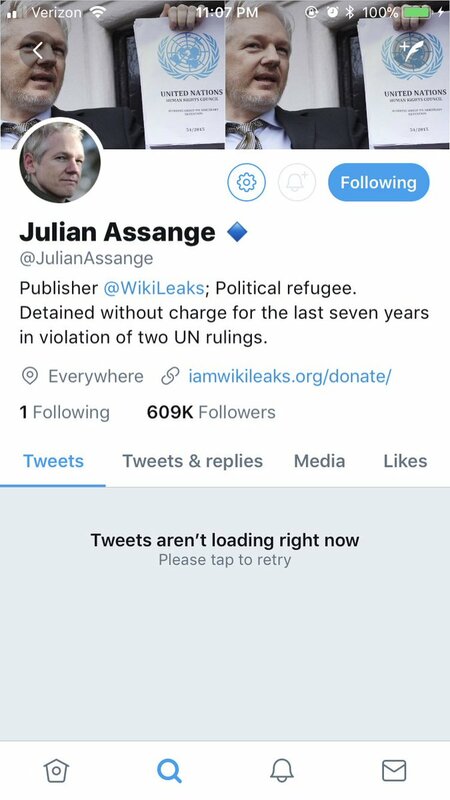 The account, @JulianAssange, is no more and the reason remains unknown. 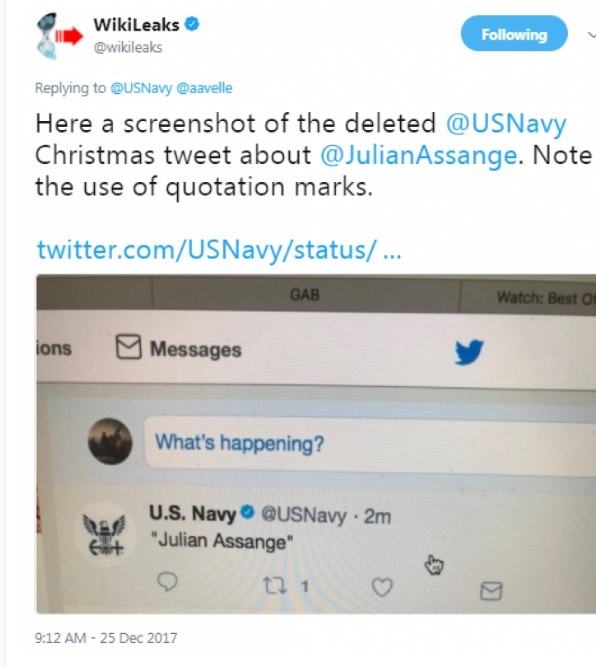 However, a source who works closely with WikiLeaks told the Gateway Pundit that they were not aware of any plans for Assange to deactivate his account. "#JulianAssange has been deleted off of twitter. Hey, @twitter why don't you spend your time deleting ISIS twitter accounts? Or Muslim brotherhood accounts? No instead you delete the account of a person who has done nothing wrong," one user wrote. Another wrote: "At the moment @JulianAssange seems to be suspended or deactivated. No idea why he would silence himself, and we all know how Twitter treats public figures who take a step too far right." 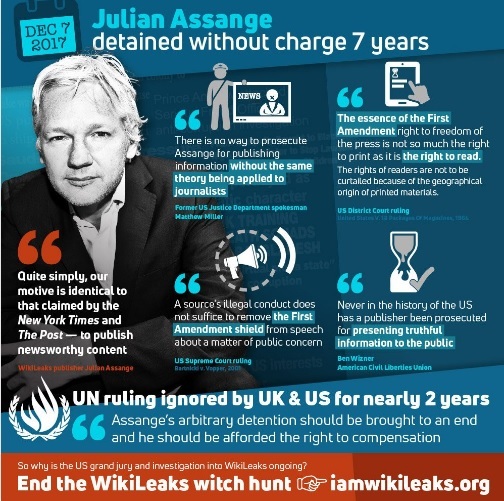 The chances of Twitter suspending Assange's account are unlikely as the 46-year-old does not fall under the category of individuals whose account the social media site would deactivate. On Dec. 18, Twitter set new rules in place regarding the suspension of accounts stating they may remove any individual who is associated with hate groups either on or off their platform. 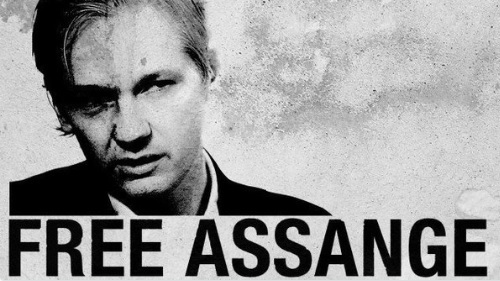 Social media users also raised concerns about Assange's safety as his account went offline just days after an alleged robbery at the Madrid office of WikiLeaks lawyer Baltasar Garzon. 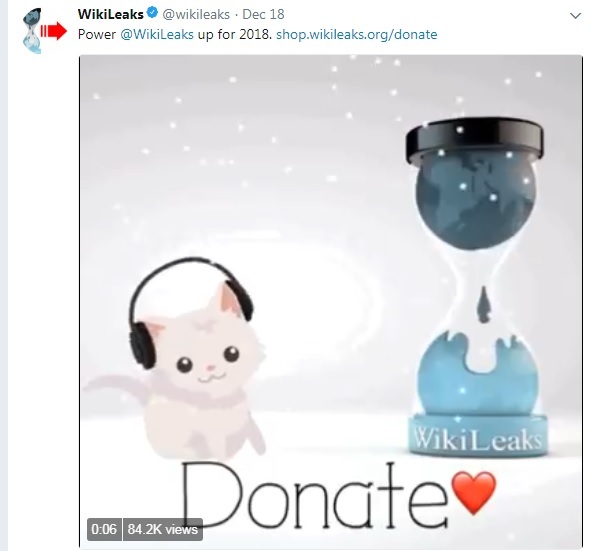 Hours after the break-in, Assange called a Jimmy Dore video "Brilliant" which prominently features Assange's interview with a Dutch television host in which the WikiLeaks founder used sign language to indicate slain Democratic National Committee (DNC) Seth Rich was his source. Circulating conspiracy theories, especially in right-wing circles and media outlets, suggest Seth was murdered to cover up the truth about how WikiLeaks obtained tens of thousands of hacked Democratic Party emails. 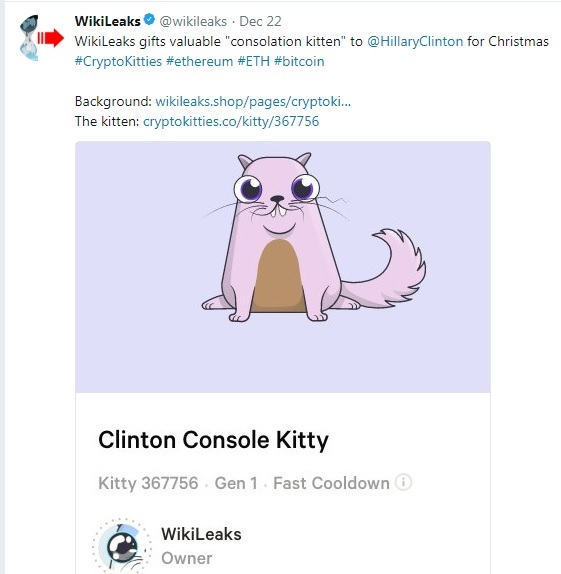 Now why would @Twitter ban Julian Assange when he was prepping to drop something big? Who is @Twitter trying to protect by this drop of information? As far as I can tell, there's no confirmation that Twitter removed Julian Assange. There's also no confirmation that he deactivated or deleted his account. But rest assured, folks will rush to conclusions just as fast as their keyboards will carry them. Julian Assange’s twitter account suspended. It’s happening! Christmas Eve massacre!